Viking Tour 2019. Fjord & Fjell Holiday Ultimate. Worlds most beautiful cycling. Fjord & Fjell Ultimate. For the first time Viking Tour starts right in the middle of our heartland - Jotunheimen. We have visited pitoresque Lom with its numerous ancient wooden buildings many times, riding in and out of the three troll entrance roads. Wishing to put as much nature and cycling thrill as possible into the mix - still offering two so called rest days - we decided to let Lom shine in full. Six days through Norways most infamous cycling peaks - and along the most beautiful fjords! 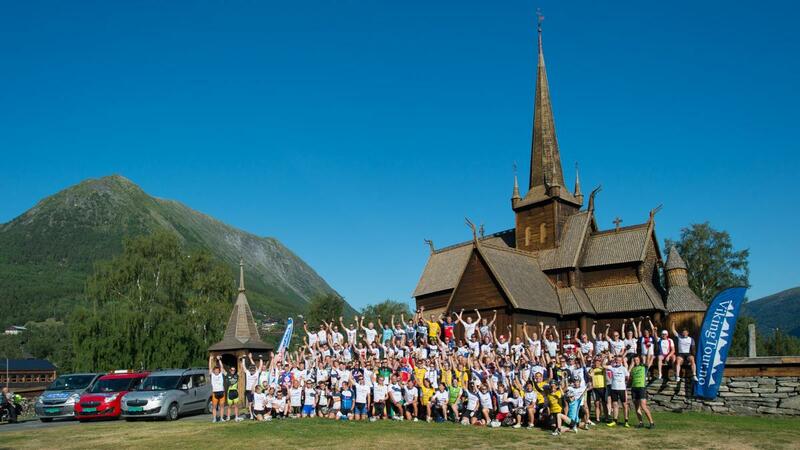 Viking Tour 2019 returns to the Norwegian Fjordland. Five nights by green fjords, two "rest days" where we stay in the same township, Geiranger, Dalsnibba, Eagles road, Trollstigen, Nordfjord Panoramic Road, Lustrafjord and a final stage with Skjolden, Sognefjell and Juvasshytta. Fly to Oslo Gardermoen and jump on the chartered Viking Tour bus with bike transport. Start in pitoresque Lom is just 3:45 away. You can choose to compete in the timed racing or class to ride with with non-timed enthusiasts in our touring class. We have no time limits for anyone. The challenge is simply to reach the finish line each day and to get all the shared thrill you can out of afternoon and evenings while recovering. The racing class has 10 age classes with daily leader shirts and awards for stage victories. Parts of each stage are non timed for all. This ensure informal atmosphere between cyclists of all levels and nationals. You get plenty of time to enjoy the infamous northern norwegian hospitality.